ONCHAN, Isle of Man – March 8, 2017 – PokerStars, an Amaya Inc. (NASDAQ: AYA; TSX: AYA) brand, has announced its corporate giving programme, Helping Hands, has extended its partnership with global sports and education charity Right To Play for a further two years, taking its total support to more than £1.5 million. 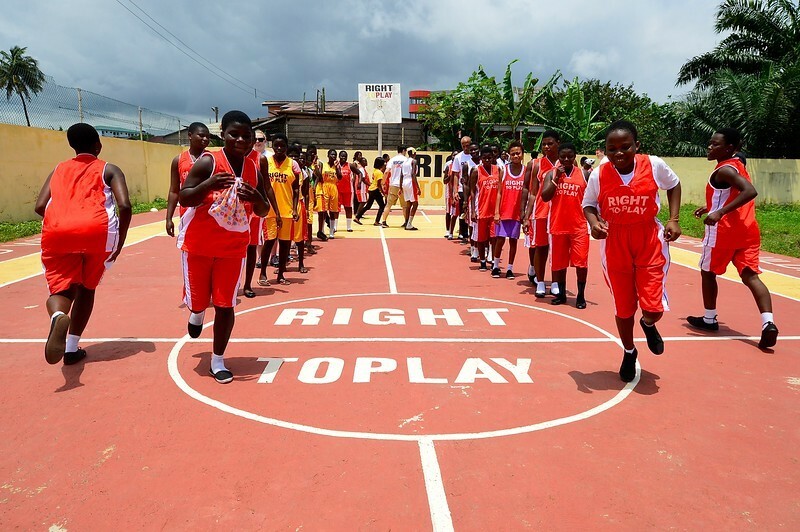 Right To Play is a global charity which uses sport and play to educate and empower over one million children in some of the world’s poorest communities across Africa, Asia and the Middle East. Their approach is simple but effective: if learning is fun then children are better able to absorb lessons. Through their specially-designed games, vulnerable children learn critical life skills, such as leadership, self-confidence, how to avoid disease and how to resolve conflicts without violence. Extending this partnership for a further two years will provide Right To Play with additional funding of £600,000, which will help the charity to continue to deliver high impact programmes and scale up its work. This includes building on its play-based approach in the classroom to help engage children in their core academic studies, such as maths, science and literacy, and to drive up the quality of education. 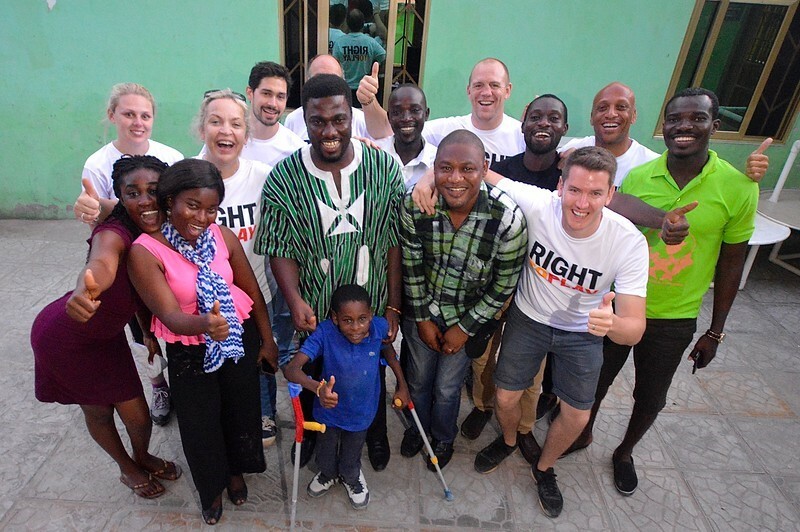 PokerStars staff recently joined Rugby World Cup winner and Right To Play Ambassador Mike Tindall to witness how much of a difference Right To Play makes in children’s lives during a trip to Ghana. You can see a video of the visit here and read the moving account of a day spent with street children in slum in Jamestown here. PokerStars are sponsoring the Right To Play Sports Quiz, which is hosted by John Inverdale and is taking place at The Grange St Paul’s, London on Wednesday, March 8th. More information can be found here. Helping Hands is the Rational Group Corporate Giving Programme which provides support to charities whilst galvanising the support of the brands, players and staff. Helping Hands is the embodiment of the Full Tilt and PokerStars ethos that working with our communities and our people to make a difference is an essential part of being a responsible business and the right thing to do. Helping Hands works with charities locally where we have an office presence and globally through our charity partners such as CARE International and Right To Play – helping to recover from international emergencies and using the power of sport and play to transform children’s lives. Since its launch in 2013, Helping Hands has contributed more than $8 million to charities around the world. Right To Play is a global organisation that uses sport and play in innovative ways to help children in some of the most deprived areas of the world develop the skills to keep themselves safe, healthy and better educated. Operating in 18 countries in Africa, the Middle East and Asia, Right To Play develop proven programmes that encourage children to attend school, protect themselves from disease and resolve conflict to create peaceful communities. Their play-based learning activities dramatically improve life chances and opportunities, particularly for girls, those with a disability or HIV/AIDS, street children, former child combatants and refugees. Right To Play train thousands of community leaders and teachers as volunteer coaches and create learning programmes tailored to local needs. As the children and young participants gain new skills, they too can train as junior leaders, helping to create a virtuous circle that promotes long-term change and sustainable benefits for society.